Showing off amazing videos on the website requires professional themes that are beautifully designed. We have come up with various simple multimedia themes that can help you get an impressive video theme for your WordPress site. 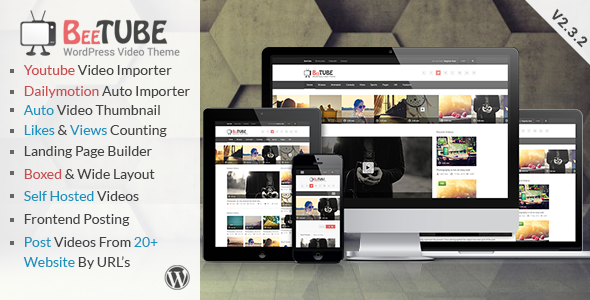 BeeTube is a responsive WordPress video theme that is responsive and provides and interesting video blog portal. 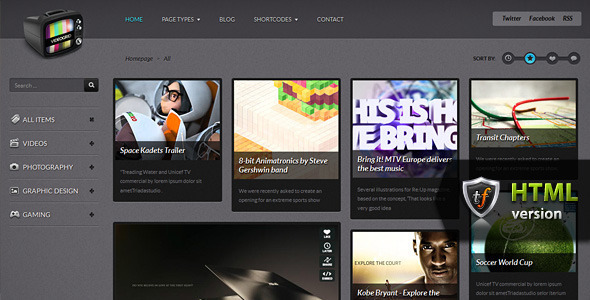 It is inspired by some famous video websites like DailyMotion, Video and YouTube. 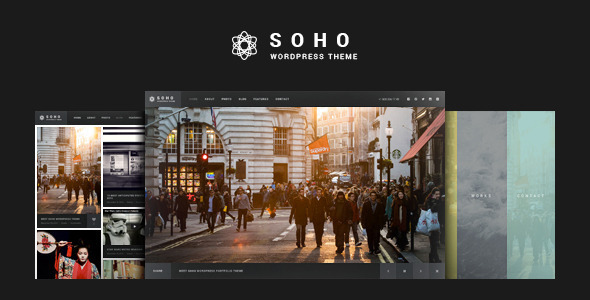 SOHO has a full screen layout and provides a creative design for a video website. It is built in latest technologies like GT3 page builder and an optimized system for improved performance of the video website. 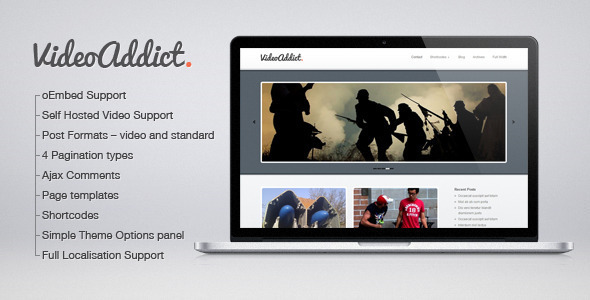 VideoTouch is built on the Bootstrap framework and is a retina ready theme. It comes with an excellent layout builder that is packed with innovative designs. It comes with the video touch feature that forms the core of this theme. 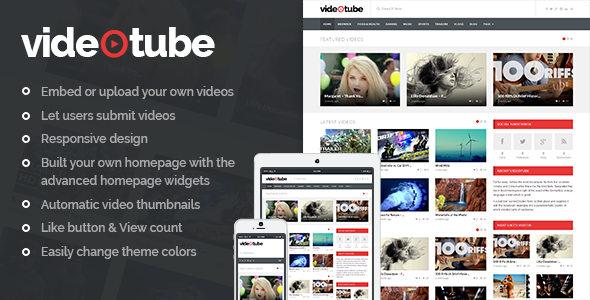 People who have a hobby of creating a collection of their own videos and broad cast them through a website can use this theme. It is supported by oEmbed and provides a user friendly interface. 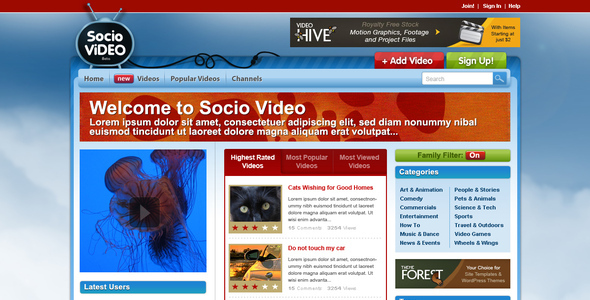 Socio is a responsive video theme that comes with a professional design. There are three layered layouts of this theme and the font used is Arial. 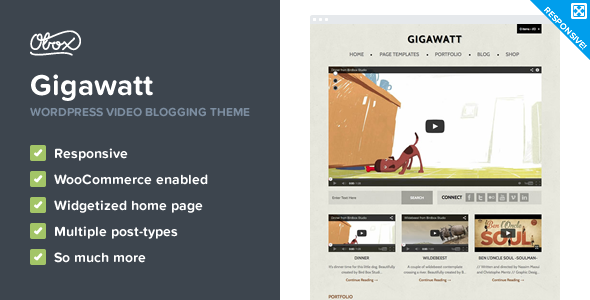 Gigawatt is a retina ready wordpress theme that also provides an ecommerce option for people looking to build video website along with online shopping option. 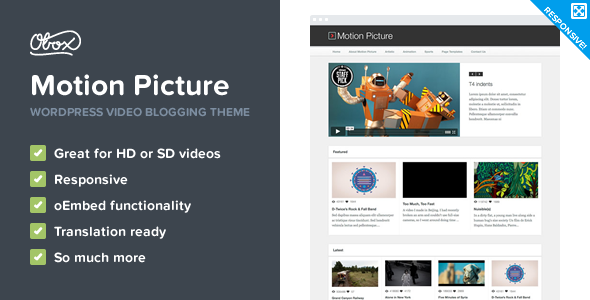 Motion picture is a wordpress video theme that gives an innovative embedding option where users can paste the url of the video and present it on the website. You also get two colors options to choose for your site. 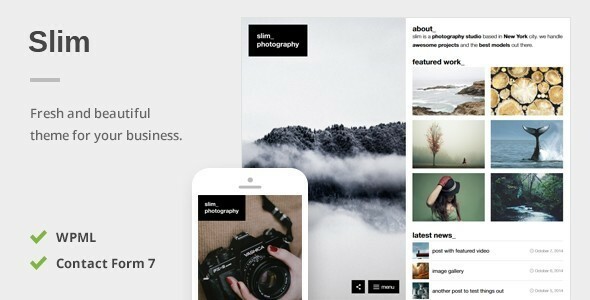 This theme supports both photographs as well as videos. You can have a nice collection of videos in a streamlined manner through this theme. 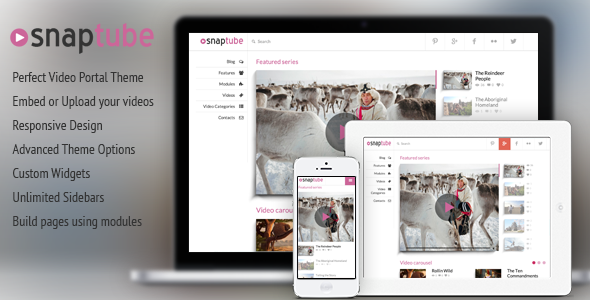 Snaptube is a responsive wordpress theme that helps in importing large amount of data for your website with a single click. It also has a powerful admin that provides huge amount of options. This is a video magazine theme that helps in creating a online store for the video website. 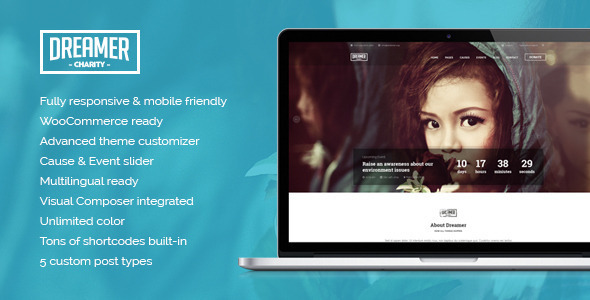 It is built on bootstrap framework and has a responsive design. 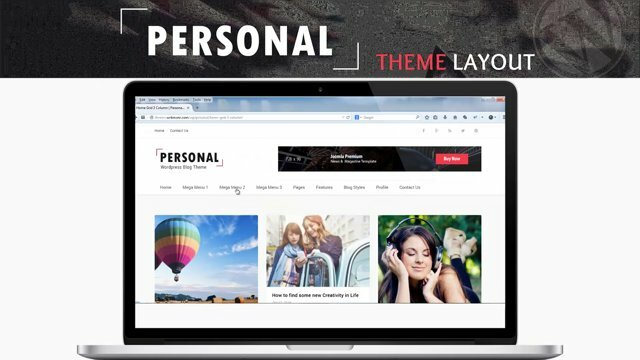 Personal is a creative WordPress theme that helps people for creating a nice portfolio video website. It is modernistic and comes with huge amount of excellent features. 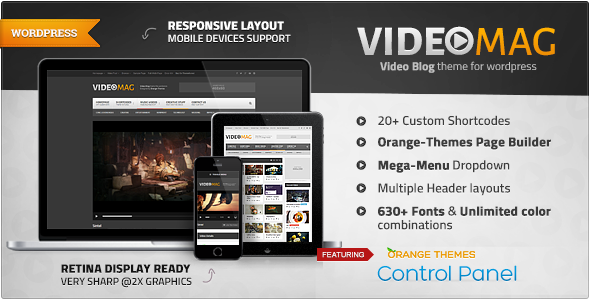 Slimvideo has innovative page builder properties and comes with unlimited layouts. There are around 12 columns and tons of options for making creative changes to the website. 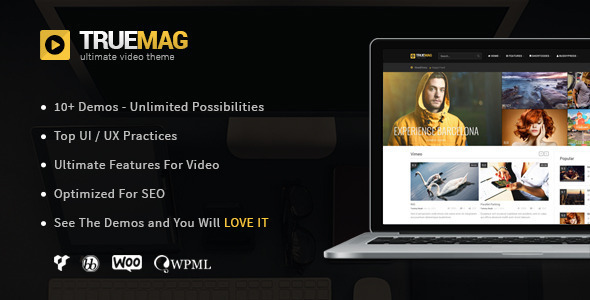 Video Magazine is a retina ready theme that is nice for websites based on fashion and movies. It supports all the major websites like Dailymotion, youtube and vimeo. 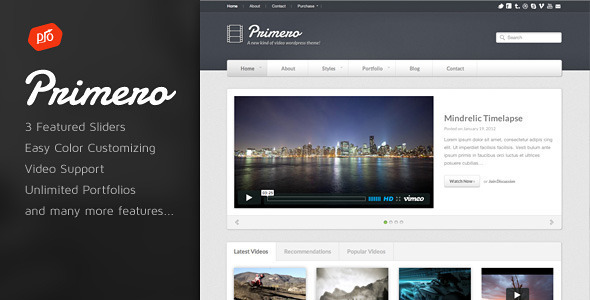 Dreamer is a theme that some out of the box features for a video website. It has a parallax effect and can be easily customized. VideoGrid comes in two color options, one is a dark and the other is a lighter one. It is responsive and can be useful for presenting portfolios. Tutorial is a video theme for WordPress that helps in creating tutorial for the prospective viewers. One can can upload various high quality videos through this theme. 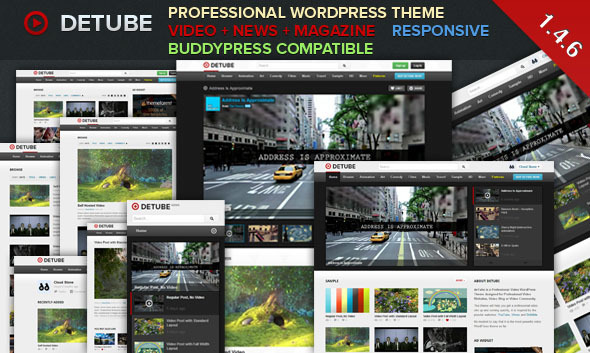 deTube is a theme that seems to be inspired from professional video websites like Dribble, Vimeo and Youtube. It helps in creating a nice video portal on a wordpress website. 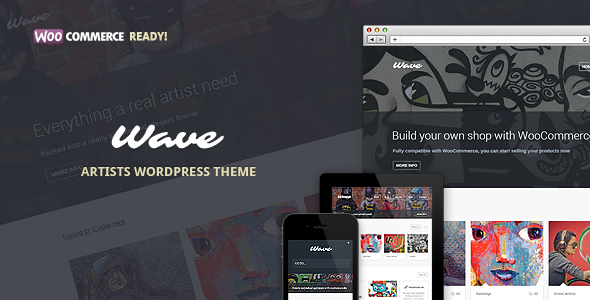 Wave is a clean and crisp theme that allows the users to add third party videos. It provides range of color options for a website. 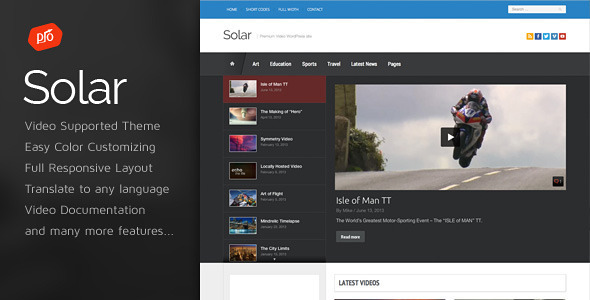 Solar is a responsive video theme that can be opened in all kinds of browsers as well as mobile devices with ease. It provides the users with unlimited color options. VideoAddict has four different paginations support and interesting video posting format for the website. 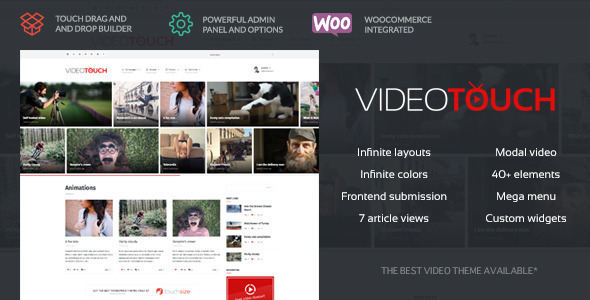 One use the feature of self hosted video support through this theme. True Mag has a well designed UI/UX and it comes in handy for SEO too. It is also useful for creating a video portfolio site. You can use the comments section below to notify me about video themes that should be added to the list.